Happy sums up how I’m feeling about tonight’s event with the members and supporters of the African American Legacy (AAL) at The Chicago Community Trust. I’m also looking forward to sharing the stage with Liz and Don Thompson, founders of Cleveland Avenue Foundation for Education, and Xavier Ramey, senior assistant director for social innovation and philanthropy at the University of Chicago. It’s certain to be a good night. Good fortune landed me in Detroit earlier this month at The Wright Gala 2015. Star-studded and spectacular, the gala celebrated 50 years of the Charles H. Wright Museum of African American History and carried the theme Inspiring Beauty. 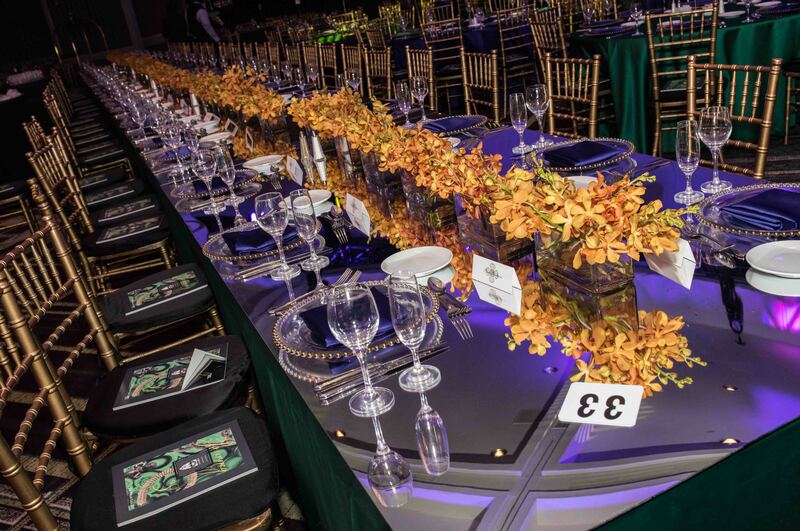 In a room filled with exquisite orchids, rich decor and gorgeous guests, the most beautiful thing about the gala is that it generated a record 1.8 million dollars for the Museum, including a half million dollars contributed by five Detroit-based African American families and businesses that contributed gifts of 100,000 dollars, each. Kudos to the woman with the vision and finesse to achieve this formidable goal—Wright Gala Chair Vivian Rogers Pickard, President of the General Motors Foundation and Director, Corporate Relations for General Motors Company! Below is a photo slideshow from “the most successful fundraiser in the Wright Museum’s history” (click a photo to access the slideshow and captions). Learn more about the Wright Museum, and check out my story about the gala today on BlackGivesBack.com. Here’s a BlackGivesBack.com story about my visit to Hartford, Connecticut in September: Hartford Foundation Celebrates Black Philanthropy with Stories of Inspiration. Here’s an article recently featured in Triangle Community Foundation’s newsletter in observance of Black Philanthropy Month during August. TCF was an early partner of Community Investment Network (where I now serve as interim Executive Director) when it was formed a decade ago. CIN is celebrating its 10th anniversary conference in Durham in October and TCF is a sponsor. Many thanks to Lori O’Keefe and Veronica Hemmingway of TCF (@TriComFdn) and Todd Cohen of Philanthropy North Carolina (@philanthropync).